Does it sometimes seem like lots of women who talk about their breast cancer experiences often mention how they’ve become more appreciative, enlightened, transformed for the better, or whatever? Does it seem like there is story after story about celebrities sharing, let’s be honest here, more than we want to know about their breast cancer experiences? And don’t you think too often such celebrity-type stories often make breast cancer seem not so bad? And then there are the mastectomy stories, lots of mastectomy talk of late too. Of course, talking openly about this stuff is wonderful. However, there’s a double-edge sword here. All this talk, all this exposure can be misconstrued and potentially create the false illusion that breast cancer is well, normal-like and therefore, not really all that bad, can it not? Pink ribbon culture has certainly played a major role in promoting this “normalization” of breast cancer. Breast cancer is not pretty, pink or party-like. Period. Breast cancer should never be presented as normal-like. It should never be trivialized or sexualized either. Such narratives are inaccurate and downright insulting. Again, bringing a once taboo topic out of the closet is tremendously helpful and welcomed. But maybe we’ve gone a little overboard and have unintentionally desensitized people. Removing the stigma should not result in making a horrible disease appear normal-like. Breast cancer has become the elite cancer, the cancer of notoriety. Breast cancer is definitely the shopping cancer and this, too, is insulting when you think about it. The above all else, just stay positive, mantra drives me nuts. As you know, right? I maintain too much positivity, too much glossing over of the horribleness of breast cancer, falsely presents it as being not so bad, and therefore, in some weird sense, normal. The effect of all this positive thinking is to transform breast cancer into a rite of passage–not an injustice or a tragedy to rail against but a normal marker in the life cycle, like menopause or grandmotherhood. Everything in mainstream breast cancer culture serves…to tame and normalize the disease: the diagnosis may be disastrous, but there are those cunning pink rhinestone pins to buy and races to train for. 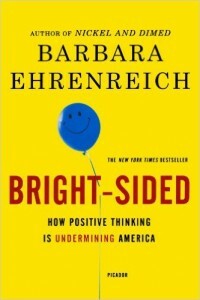 Ehrenreich’s outspoken truth telling about her breast cancer reality is laced with wit, sarcasm and spot-on insights about what breast cancer is and what it is not. And one thing breast cancer definitely is not, is normal. This is one reason I felt compelled to write my memoir. I wanted to ‘shout from the pages’ that nothing about breast cancer felt/feels normal. Some probably consider my memoir or even my blog and therefore me, to be negative. But I refuse to gloss over the harshness of cancer reality, well, my reality anyway. A cancer diagnosis is not a normal occurrence. 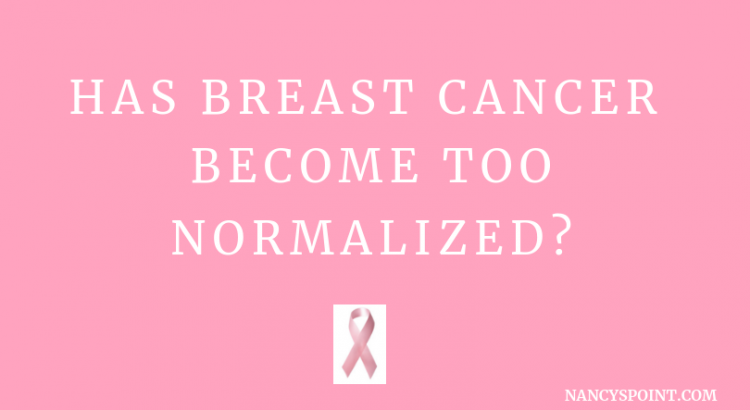 A mastectomy is not normal. Reconstruction is not normal. And as far as I can tell, even six years post diagnosis, there is nothing normal about survivorship either, new or otherwise. Frankly, I am tired of people trying to twist or re-frame cancer into something it is not. Can we please stop portraying a horrible disease as something it is not? Because no cancer, including breast cancer, should ever be normalized. 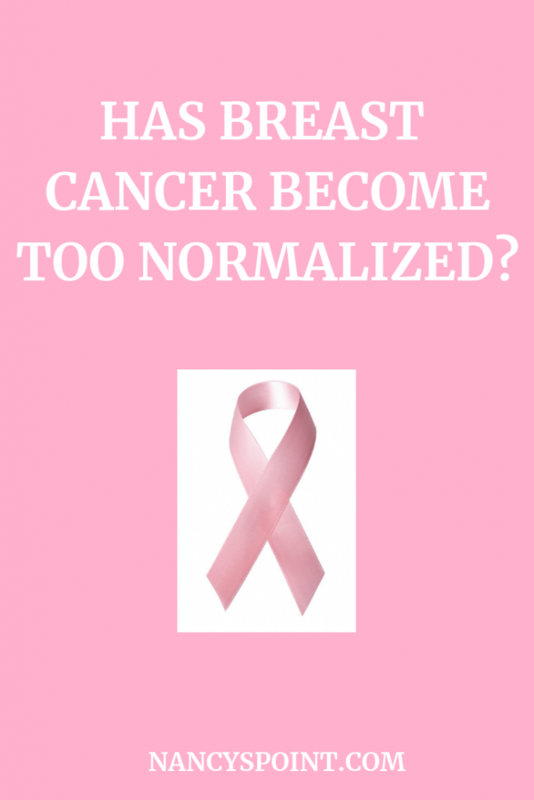 Do you feel breast cancer has, to some degree, become normalized? Have you seen Pink Ribbons, Inc? This idea of breast cancer becoming the norm, becoming just part of the life process of a woman, like puberty and menopause, scares me! I don’t want women to have to accept one more affront to our health “because we’re females”. Menopause changes and symptoms pretty much just get blown off by doctors (whether they come on normally or are surgically or chemically induced. Those 7 out of 8 women who DON’T get breast cancer in their lifetimes even now count themselves lucky to have dodged this Female rite of passage, just as those who dodge years of life altering, life disrupting hot flashes should feel lucky. However, hot flashes won’t disfigure you or kill you. We need breast cancer to be so horrible that tons of research is put toward finding the causes and cures. Connie, Well said. Thank you. Definitely sounds like an interesting book. I of course agree with the passages you shared. I’m curious what the other chapters in the book focus on. Lindsay, It’s a good book. You can read the synopsis on Amazon for more info about it. Basically BE says we’ve gone way overboard in giving so much credence to the power of positive thinking, and she delves into how this reaches into every corner of American life, including the business community. She also exposes the downside of positive thinking. It’s an insightful read for sure. Nancy, I want to get this book, thanks for sharing about it. Barbara’s quotes resonate with me. And I do agree breast cancer has, to some degree, become normalized. Perhaps that is one of the reasons why advanced stage disease is not taken too seriously. This is a big problem. People who are exposed to some of these bc stories you refer to are under the impression it’s probably the same for the rest of us. it’s not the reality though. And yes, Pink ribbon culture has contributed to this “normalization” effect and it’s scary. I don’t think you’re negative at all, just a realist, like me. We don’t sugarcoat the reality of this disease. It’s a horrible disease that kills over 40,000 people a year as we all know. How can this be normal or acceptable? I also agree with Barbara’s point, this has to be stopped. It is causing us all damage. Rebecca, Bright-Sided is an interesting read. Let me know what you think of it, should you read it at some point. I hate the way breast cancer is too often over-simplified, trivialized, sexualized and minimized. Ugh…Thank you for reading and sharing your thoughts. The title of your post reminds me of something I cannot track down–I seem to remember a UK comedian who had breast cancer said something like “everyone has breast cancer nowadays”, kind of blowing it off. I seem to remember someone writing an angry blog post about it–but my efforts to re-locate these things have not turned anything up. If that DID happen, and since I don’t know the context in which such a thing was said, I cannot judge it too harshly. I mean on the one hand–I can kind of laugh grimly–it appeals to my dark humor and irritation with the banal–sooooo many Lunden/Robach-like celebs do the whole “fight this thing” and the myriad of articles written about their “struggle” are such cookie cutter pieces. But on the other hand, this type of “oh EVERYone has breast cancer now” kind of attitude is a bit dangerous. Normalizing it does undercut the horribleness. Not that I want people to pity me or whatever, but damn–just because it is so common in the media does not make it easy! Sigh, I’ll keep looking for that comedian story–think it was one of the AbFab stars…. CC, Yeah, I seem to vaguely remember hearing/reading a comment along those lines too. I did buy Joan Lunden’s book, but I haven’t been able to bring myself to read it yet. I couldn’t get past the acknowledgments pages (yes, pages). Right then and there, I knew her experience wasn’t going to jive with mine, not that it should, but I just couldn’t relate, even at that point. I hate it when celebrity stories make it all sound so easy and so “enlightening”. Ugh… Thank you for reading and for commenting too. I so agree with this! When I was diagnosed he doctor even said I have the “good” type of cancer. I was numb and stunned. Sure I’m glad it is one they have treatment for but don’t expect me to be instantly thankful. I didn’t ask for any cancer journeys in this life. Thank you for your validation. Have you read Pink Ribbon Blue? Lielle, Oh my. It’s sad when even those in the health care field say some of these idiotic things. Sorry you had to hear that insensitive remark. Yes, I have read “Pink Ribbon Blues”. It’s an excellent read. Sure opened my eyes. Thank you for sharing. I’ve read Bright-Sided and was so impressed! It really is thought-provoking. And you are right: there’s nothing normal about breast cancer. Mastectomy, lumpectomy, radiation, chemotherapy, whatever we have to do to improve our odds of survival, it’s just not normal. Because breast cancer is in the news so often, I think our culture has tried to “normalize” it. But breast cancer is anything but normal. Thank you for writing this! I have to say for years now I have been saying I am not an optimist and I am not a pessimist, I am a realist, I see things how they are. I have said this to doctors when I was trying to make decisions about surgeries and treatments. I also live day to day. I learned to do this while my husband was sick for four years, then died. Yes let’s use the word died and not make it something else. Today I saw my breast surgeon and yes I felt like a science project! She had a new assistant and was talking to her about everything they did to me during my five surgeries like it was great! And here is the muscle from my back and showing it in my breast! She then did say I had a rough time and I mentioned a few things like my infection. She was only there for one surgery my plastic surgeon was there for all five. Yes everyone except the patient tries to normalize breast cancer and is definitely wrong to do and should change but that will never happen. Wendy, You felt like a science project, that is a good description of your recent experience. Geez…Thank you for sharing that as well as the rest of your thoughts on this. Sounds like we’re on the same page about the normalization thing. Thank you for this…I was trying to find something that resonated with how I’m feeling as I tell a few people about my impending diagnosis (after a birads 5 ultrasound), and this is it. One person said to me ‘you’ll be fine, it happens all the time’ and, while I know they mean well and want to be reassuring, it didn’t make me feel good at all. Thank you. Candice, That person’s comment you shared was insensitive. Talk about minimizing. Remember, free passes are optional. 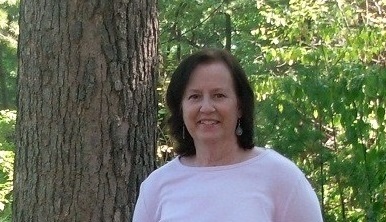 🙂 http://nancyspoint.com/cancer-clunkers-words-sting/ Thank you for sharing. My best to you.